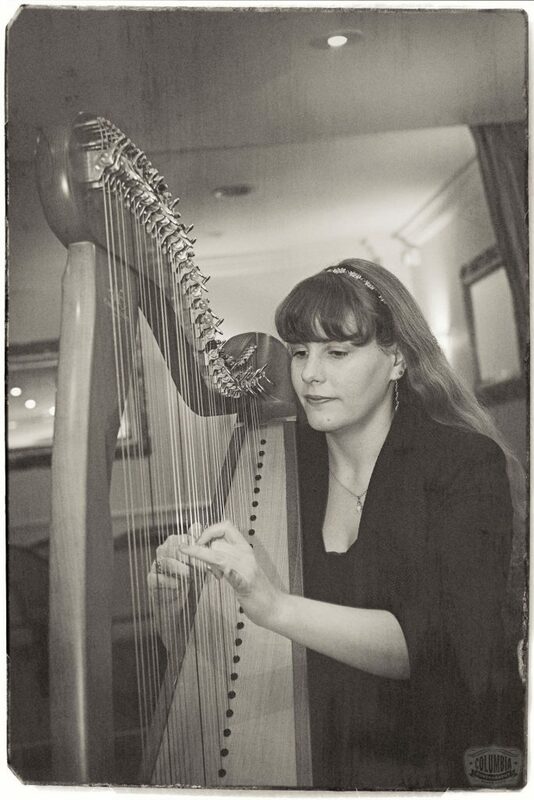 I loved playing at an old school friends wedding at the Mirimar Hotel in Bournemouth. It was an beautiful wedding in an amazing venue. Thank you to the lovely staff who were really professional and provided coffee! Thank you to John at Columbia Photography for these photos. 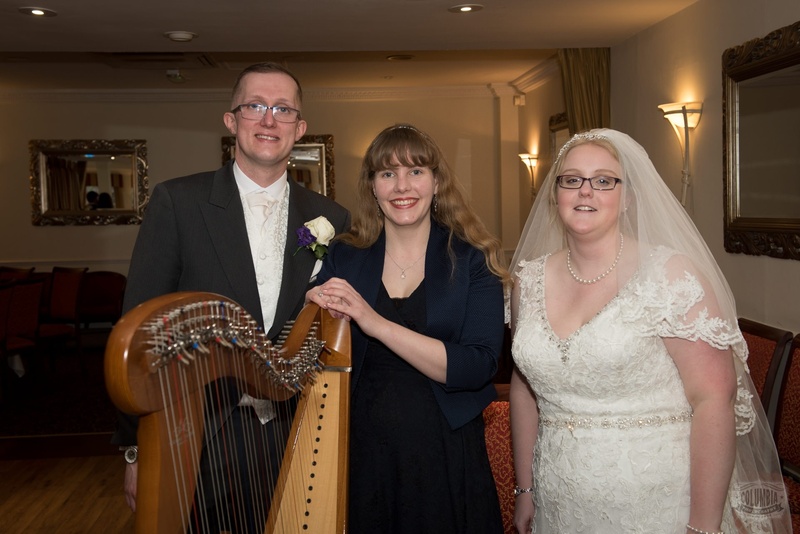 Congratulations Kelly and Paul, best wishes for the future! 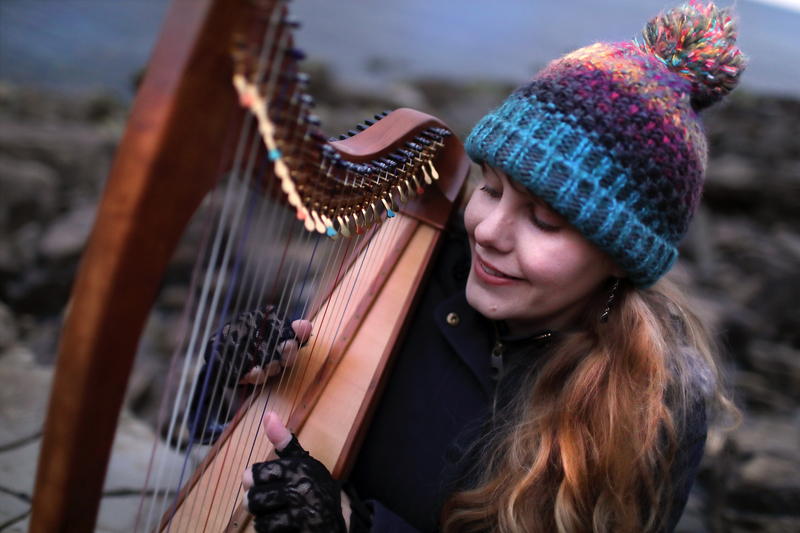 Yesterday evening I popped down to Kimmeridge with my tiny lap harp to start a composition about the bay. 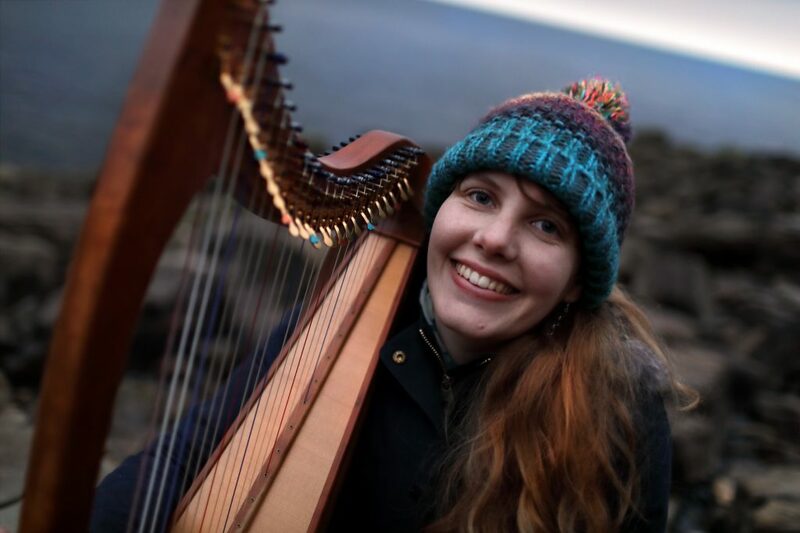 I was torn between writing a tune about the nodding donkey on the cliff top or about sea. In the end the sea won! It was such a lovely calm evening (if a little cold!) Hopefully I’ll go back to Kimmeridge again in the near future to record a video of the finished tune!